Are you interested in working with animals and considering veterinary medicine? 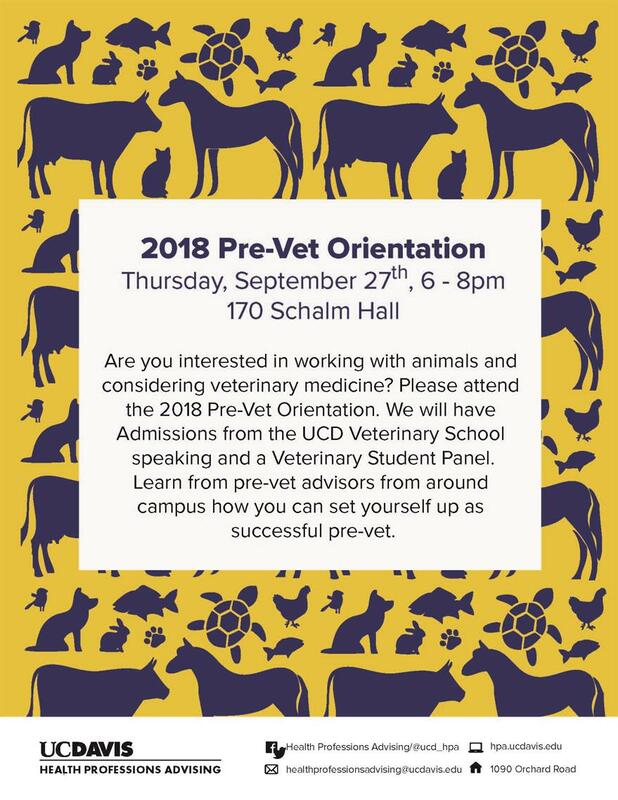 Please attend the 2018 Pre-Vet Orientation. We will have Admissions from the UCD Veterinary School speaking and a Veterinary Student Panel. Learn from Health Professions Advising and Pre-Vet advisors from around campus how you can set yourself up as a successful pre-vet! Free t-shirt for the first 100 participants!